Even though smartphones keep getting more advanced and easier to use, there are still throngs of people who, like my mom and sister, marvel at what these handsets can do and believe they’re still too sophisticated to handle. Into the despair of technophobia comes Sprint with its refreshingly simple Sprint ID. In a nutshell, Sprint ID is an exclusive Sprint service that enables consumers who either shy away from technology or don’t have the time to surf the Android market to customize their handsets with mobile apps that will help make their lives easier. The current Sprint Android handsets (the Sanyo Zio, Samsung Transform and LG Optimus S) make it easier to access a set of pre-defined packages of apps, widgets, ringtones and business tools for people with specific interests. Each Sprint ID package is pre-configured with content and apps related to such broad topics as lifestyle, sports, business and more. 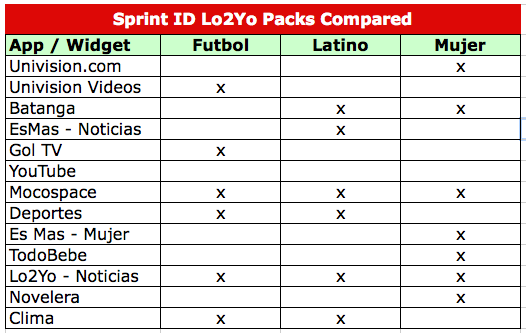 For my test drive with Sprint ID, I spent time reviewing its Spanish-language packs called Lo2Yo (Spanglish for ‘Yours’). 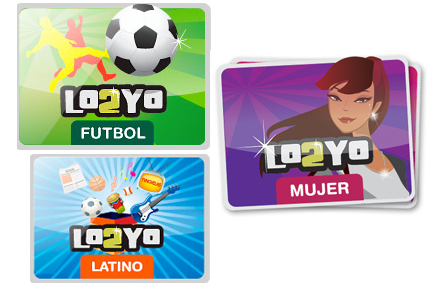 The current Lo2Yo packages are Spanish-language dedicated applications: Lo2Yo Latino, Lo2Yo Mujer (Woman) and Lo2Yo Futbol (Soccer). In general, the Lo2Yo packs are similar but each have distinct differences. Each of the packs allows Hispanic users to automatically navigate between Spanish and English languages, as well as Latino and American cultures simultaneously with just the touch of one button. Each pack comes with its own attractive menu background screen (i.e. Lo2yo Mujer whose wallpaper and menu’s provide a feminine, modern and stylish look and feel). Simplicity: Downloading and even switching between each of the downloaded Lo2Yo packs is very simple. Sprint ID can be accessed quickly from the home menu of each of the Sprint ID-enabled handsets. Spanish-Language Content: It’s no secret that Spanish-language apps and content on mobile phones still lag severely behind those in English. One of the biggest pluses of the Lo2Yo packs is that it features the latest, most prominent content apps in the market right now, including EsMas and Univision.com, among others. Customizable Features: Perhaps the best part of Sprint ID is that the content is fully customizable, meaning you can add free and paid apps to each of the profiles with ease because all of the apps reside in the general Android apps folder of the phone. 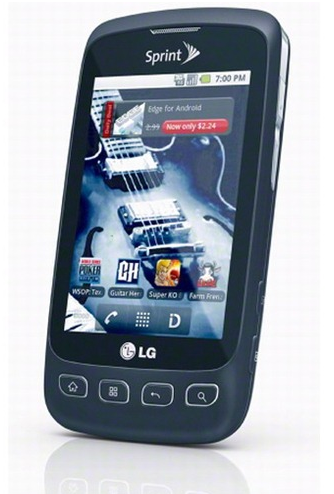 Benefits of Sprint ID: I used Sprint’s exclusive LG Optimus S to test the Lo2Yo packs. This cool phone is slick, solid and loaded with features; an important fact because Sprint ID and the apps inside the Android app store are only as good as the smartphone navigating it. Limited Handsets: Sprint ID, which is exclusive to Sprint is only available on three handsets. And I wish it would be available on more of Sprint’s turn-key handsets like the HTC EVO 4G or the Samsung Epic 4G, two of the hottest phones on the market. Updating Apps: Sprint ID packs are updated regularly; however, over-the-air updates directly onto the handset don’t happen automatically For example, to keep your keep your Lo2Yo Latino pack updated, you will need to delete and reload the pack every month or so to ensure that you have the most updated apps – every time! (I personally love the Wifi hotspot and GPS features of most Sprint smartphones). If you or someone you love has been hesitant or concerned that getting a cool smartphone that works in the Android platform is for geeks, take a closer look at Lo2Yo packages. The Lo2Yo Sprint ID packages are simple and so easy to navigate through that their biggest attribute is quite possibly turning technophobes into confident Android app store users. This post was written in conjunction with a paid campaign on behalf of Sprint, but all experiences, thoughts, and opinions are original. PapiBlogger encourages you to examine the products and services he reviews, including this phone, for yourself.